The team at Berkeley Bob’s has the knowledge and experience to take on maintenance or repair challenges on Volvo, Audi, VW, Toyota, Subaru, Hyundai and Kia automobiles that come our way. 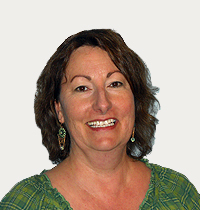 Melissa has almost 30 years in the automotive field having worked as a service writer, parts salesperson and small business bookkeeper she has a comprehensive knowledge of automotive repair and garage management. When not at Bob’s she tends to her old world rose collection, travels whenever possible, loves her Welsh Corgis and studies language and dance. Sean has always enjoyed taking things apart but it was the Army that ushered him into the automotive trade afterwards apprenticing at his father’s friend’s garage. He has 26 years experience wrenching. His average day consists of troubleshooting, problem solving and managing the garage. An ASE (Automotive Service Excellence) master technician, Sean had to pass 8 exams on all operating systems of the automobile. In his spare time he enjoys computer games and the Forty-Niners. Andy, who is a Bay Area native recently returned to be closer to his family. We were lucky when he agreed to come on board as our manager. 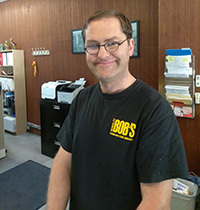 He brings years of exemplary customer service and repair knowledge to the counter at Bob’s. While living in Colorado he enjoyed working as a service writer for the only Hybrid repair shop in the Denver area, Mile High Hybrids. In his spare time he enjoys taking drives along the California coast. He tools around town on his bicycle and likes helping friends and family when the need arises. Andy is truly one of the good guys. Randy joined our crew in August. He had previously been working for Toyota of Berkeley. For his young age Randy has worn many hats; he prepared financial reports for the business administration at San Francisco International Airport, he worked in the photography department for Walgreen’s and sold auto parts at Kragen (now O’Reillys) before embarking on his career path. Her started out in the construction industry and jumped ship when the boat sunk in 2008. He made the smart move to automotive repair where he found he had a real talent. 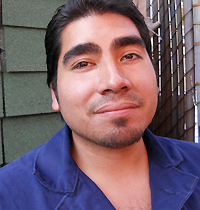 He has studied automotive technology at Contra Costa College. 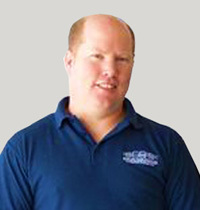 Randy has a young family and enjoys time spent with his children. His favorite pastime is playing the drums with special interest in rock but he also likes jazz, salsa and hip-hop. What he misses most about Guatemala: Fruit – coconut & 10 types of mangoes! 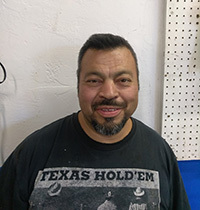 In December of 2016 Jorge came on board bringing many years of experience working on all types of cars. He has even rebuilt a Ferrari engine for his old employer in San Rafael. We are lucky to have him in the shop. Some evenings and on select weekends he enjoys playing with various salsa bands in and around the Bay Area. He describes his instruments as anything with keys; piano, organ, accordion, synthesizers and….cars(?). In September of 2016 Toni joined our crew. She has been working in customer service and sales for several years. A graphic artist by trade she has a wonderful style that show in her ability to organization both office and customer waiting areas. 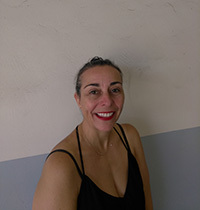 Everyone at Bob’s enjoys her kindness and bubbly personality.